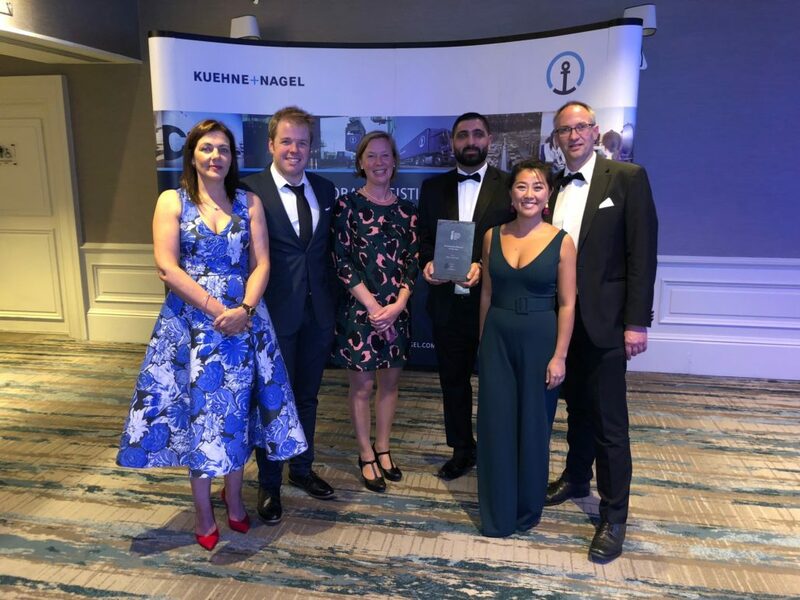 Cork Institute of Technology (CIT), the Pharmaceutical Manufacturing Technology Centre (PMTC) and Pfizer (Ringaskiddy) won the Partnership Alliance of the Year 2018 at the Pharma Awards Ireland. The winners were revealed at a gala awards ceremony on Tuesday, October 23rd, at the Clayton Hotel Burlington Road, Dublin. This collaboration’s successful outcome has subsequently been rolled out to international sites with Pfizer Corporation reaping commercial benefits for the organisation. This was an academic – industrial collaboration with the goal of providing an advanced technology solution to address a contemporary manufacturing issue specifically in an API Pfizer manufacturing (in Cork). The academic investigators were Dr Sandra Lenihan, Dr Keith Bryan and Dr Ken O Connell (Academic Partners), School of Engineering, CIT. Dr Liam Tully and Bianca Lai, API Technology were the Pfizer personnel (Industrial Partners ) who scoped the initial project and furnished company specific criteria for the Pfizer API manufacturing process and facilitated trial work on site. lower layer through the bottom outlet. In this way fewer reactors would be required, in fact a single reactor could be used for the chemistry as well as the phase separations required in workup. The siphon technology that was developed during the project is being deployed on three production trains of a key Pfizer product, in Cork and is currently being evaluated for multiple other key products in the company’s portfolio. The benefits that have already been projected on plant for this product include; reduction in work-up time from 4.5 hours to 0.75 hours, full automation vs manual separation, significantly increased efficiency, decreased phase carry-over and decreased plant cleaning requirements. The project was delivered within three months of kick-off with Dr Ken O Connell working as a full time researcher for the duration of this project. The project took the following steps between CIT and Pfizer; Computational Fluid Dynamics (CFD) Modelling – several iterations, 3D printing of 1st prototype, Trial Work in Pfizer Kilo Lab, manufacture of 2nd prototype, and production of the unit by an Irish based SME. Significant time and expertise was required to generate simulations using CFD (Fluent software). Simulations can often take up to 1.5 days to execute. Dr O’Connell has since taken up a role with Pfizer, further enhancing relationship between the partners and simplifying the technology transfer from CIT to Pfizer. The flexibility and agility of the Technology Transfer Office in CIT enabled the collaboration with Pfizer within a strict timeline which was another contribution factor to the success of this project.